The Pangolin backpack is an unusual backpack. It is modeled after an animal called the pangolin. The pangolin is a scaly anteater that has large scales covering its skin. Most pangolins are found in tropical areas like Asia and Africa and the animal spends most of the daytime curled up into a ball, sleeping. 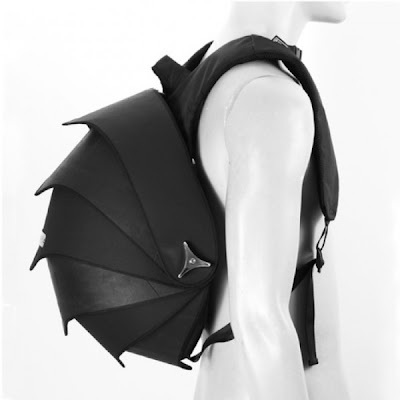 The Pangolin backpack is made to resemble the animal and has large protective scales. The Pangolin backpack is handmade in Columbia and is designed using recycled tire tubes from trucks. Because the bag is made of tire material, it is exceptionally durable. Although the bag looks strange, it has lots of storage, and provides plenty of pouches for keeping pens and other small supplies. Although the bag isn’t necessarily attractive, it is very unique. The Pangolin backpack is also made from recyclable materials, which means that it is ecologically friendly.